SGMW (SAIC-GM-Wuling) has taken the wraps off its first SUV. Known as Baojun 560, it has been exhibited at Auto Shanghai 2015. The mesh grille is U-shaped and the air intake is V-shaped. A honeycomb grid pattern has been used for making the front end look aggressive. The length, height and width of the car are 4,620 mm, 1,750 mm and 1,820 mm respectively. The wheelbase of 2,750 is much greater as compared to the wheelbase of most of the other cars in this segment. The rear seats are foldable with split configuration of 60/40, so that large objects can be accommodated. The design of the panel complements that of the seats that are in brown and black. More beauty is added to the interior by the chrome accents. Baojun 560 features excellent technology – CD player, FM radio, Bluetooth and GPS. The LCD infrared 8-inch touchscreen lets users display the information from smartphones. Also present are – push button start, cruise control, folding for outside mirrors, multifunction steering wheel and electronic constant temperature control. The rear seat passengers are provided reading lamps as well as independent air outlets. The driver’s seat is 6-way power adjustable. Under the skin lies VVT-iTECH 1.8-liter engine crafted from aluminum, accompanied by 5-speed manual transmission. The lightweight construction had been incorporated to improve the fuel economy. The peak power is 101 kW, while the peak torque is 186 Nm. The Lotus chassis on the car optimizes handling and comfort. Rear overhang amounts to 185 mm while the car is fully loaded. This makes it capable of handling a variety of road conditions. 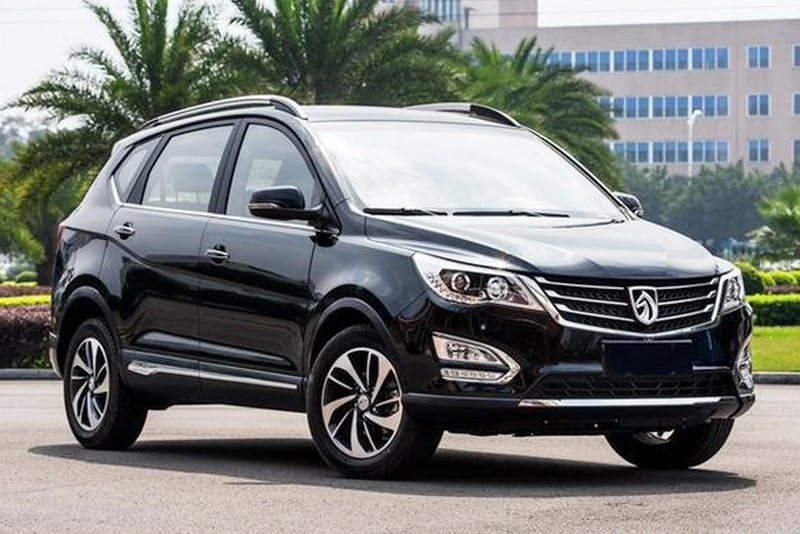 Coming to safety, Baojun 560 comes with a host of features – four air bags, tire pressure monitoring system, electronic stability control, backup camera and front parking radar. For maximum durability and quality, the car makers have utilized industry-leading laser welding and thermoforming technology.